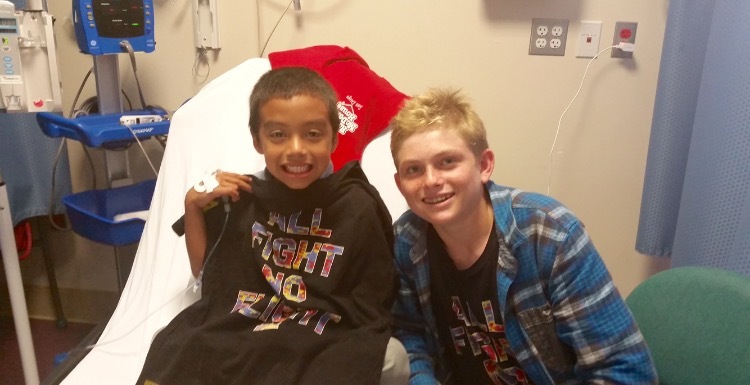 Fundraiser for Christopher Wallace by Lita Doody : Help me help hospitalized kids! 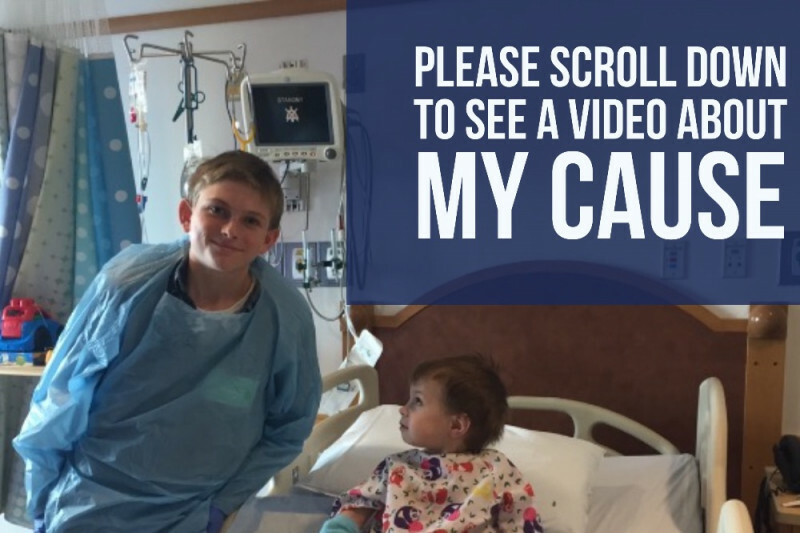 Help me help hospitalized kids! <iframe media_type="0" media_id="TSAgUQNkbgY" class="youtube-replace" title="YouTube video player" style="margin-bottom:20px;width:560px;height:315px;" src="//www.youtube.com/embed/TSAgUQNkbgY/?rel=0" frameborder="0" allowfullscreen="1"></iframe>I am asking for your help so that I can help sick kids dealing with illness and hospitalization. My name is Nick Wallace and I am 17 years old. In 2012 two very important things happened in my life. I had a lifesaving liver transplant AND I started a non profit called Nick’s Picks (nickspicks.org). I could tell you a lot about both, but my website www.nickspicks.org tells the story. What I need you to know is that I am asking for your help so I can continue to help hospitalized, isolated kids dealing with serious illness. 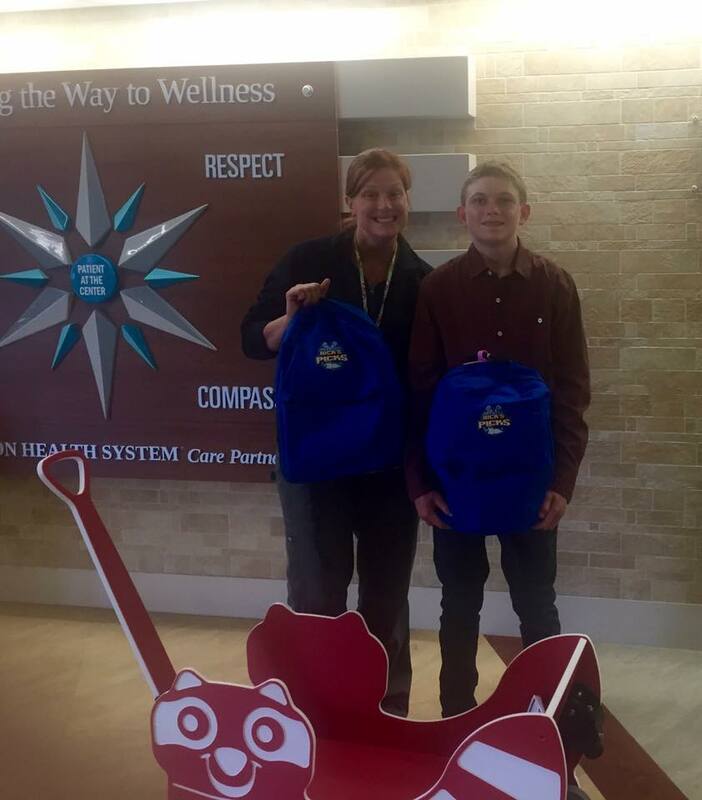 My non profit provides fun-filled backpacks loaded with the dozen items I found most fun and useful in the hospital. Each item has a specific purpose. You see, I had spent so much of my childhood in the hospital that I became a bit of an expert on what a kid needs to make the best of a bad situation. We are currently serving 15 hospitals and pediatric centers nationwide. We are constantly growing, and, although we have some amazing donors and sponsors, we need your help today. I am grateful everyday for my second chance at life and I cannot think of a better way to show my gratitude than to help other kids by bringing them a little bit of happiness and hope during a very lonely and dark time. I am asking for the donations in order to provide 2000 backpacks to the centers we serve in 2017. I know this is a lofty goal and a lot to ask, but every little bit helps. So does spreading the word. Each backpack has over $200 in items and costs Nick’s Picks $50, wholesale, to provide, excluding the cost of shipping. Nick’s Picks is run entirely by volunteers, so 100% of your tax-deductible donation goes to providing backpacks to the kids. Any dollar amount you can give will bring us closer to meeting our goal of helping provide 2000 kids with a Nick’s Picks filled backpack. Thank you for taking your time to read this and thank you for your help. I’m sorry I haven’t updated you recently. I have been really busy with school, and of course raising money for the 2017 Backpack Challenge. We are getting closer to our goal every week. The generosity of so many is truly inspiring. 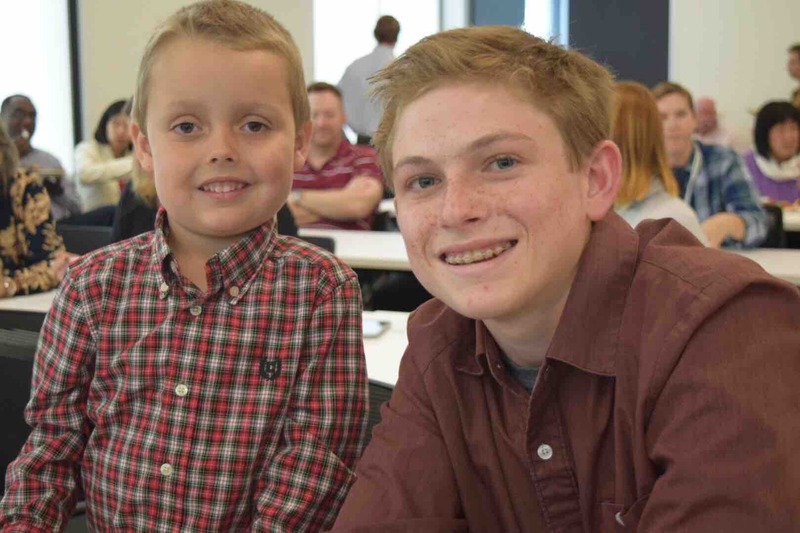 In March, I had the opportunity to go and speak at Intercept, a biotech company here in San Diego to tell them about Biliary Atresia and Nick’s Picks. They made a very generous donation. Enough for 150 backpacks! The Sheckler foundation has also been very generous this year. Even though I was not awarded their “Be The Change” grant, they did donate enough for 20 backpacks. Please remember that every little bit helps. So does sharing this and sharing about Nick’s Picks with your friends. Please tell anyone you can about our organization and our mission to put smiles on the faces of hospitalized/isolated kids. As just a little reminder why we do what we do. This is Trent, he is one of Nick’s Picks V.I.P’s and my mini me. We have been getting lots of offline donations, in addition to the online ones through this Go Fund Me campaign. I am going to include all of the donations here, on Go Fund Me, so you can all see how close we are to meeting our goal of providing 2,000 backpacks. Each backpack costs Nick’s Picks $50.00 to put together. The value of the backpack and the items inside is over $200.00. It is going to take every penny of the $100,000 I am hoping to raise. But, 2,000 backpacks means at least 2,000 times more smiles and belly laughs from kids that really need a reason to smile and laugh. Ok, time for another picture. This little girl LOVES her backpack. Just look at her face!! This is why I do what I do. You guys are amazing! We are on our way to $3,000 and have enough for almost 60 backpacks! We have a long way to go, but I know it’s possible. 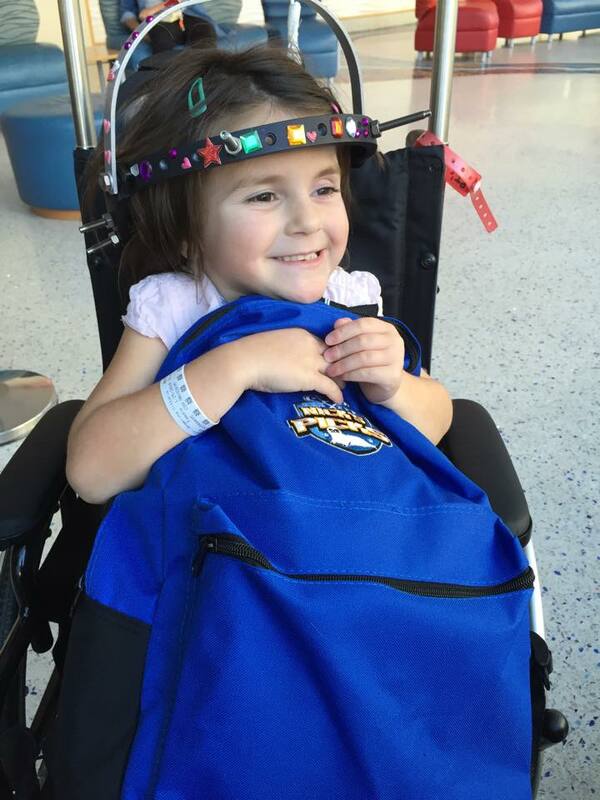 As of 2016 my organization has donated over 1,000 fun-filled, Nick’s Picks approved backpacks across the country. We are partnered with centers from California to New York and down to Florida. You donation has helped so much, but can I ask one more favor? Will you share my Go Fund Me Link with 3 people in your contacts ? Please tell them about nickspicks.org and our 2017 backpack challenge. Before I go, I wanted to share another picture with you. This is Becky from UPMC Children’s Hospital in Pittsburgh. This is one of the centers Nick’s Picks added this year. She is the child-life coordinator and makes sure the backpacks get to the kids. She’s a very special person, and works really hard to try to cheer the kids up. I want to start by saying “Thank you SO much” to those that have shared and donated to my cause, I am so excited! You are helping to put much needed smiles on cute faces all across the country. I wanted to share with you a picture of Aryk. He is one of my buddies here in San Diego. I met him through Nick’s Picks backpack to him in 2015. He is a great kid, and it’s an honor to call him a Nick’s Picks V.I.P (very important patient). Nick and Aryk - Nick's Picks V.I.P.